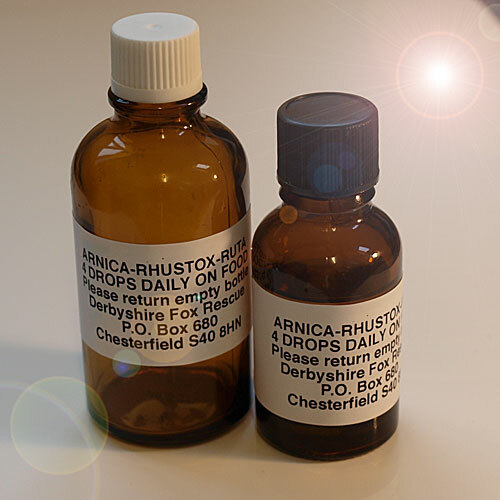 Homoeopathic treatment for Minor Injuries Arnica & Rhustox 1 x 20ml For relief of sprains, strains and bruising for wildlife and domestic animals. Dosage: Administer four drops onto either a jam, honey, or peanut butter sandwich. The fox will take this with relish and the local cat population will leave it alone; foxes love sweet things - cats don’t! 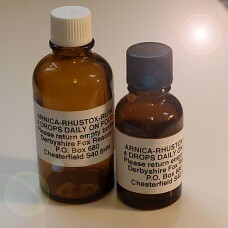 Give the four drops daily for ten days, unless the leg appears better before this. If the fox is still limping badly after treatment please do get back to us.